June is the unofficial “Jump for Joy” month for teachers. Why? Because you’ve dedicated the last 10 months to your students and classroom duties but now you get to unplug and rejuvenate yourself! 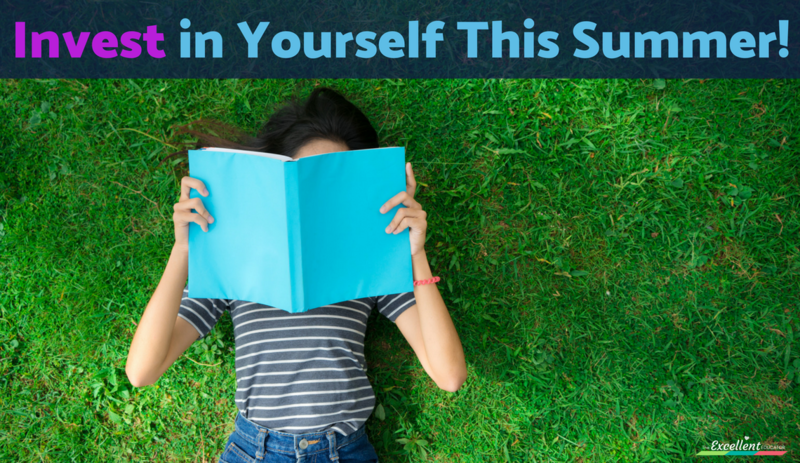 Even if you’re planning to teach summer school, do summer camp or something similar, you must… I REPEAT… you must, be intentional about rejuvenating this summer! One thing that I encourage every teacher everyone to do (at least a little of this summer), is to educate themselves! 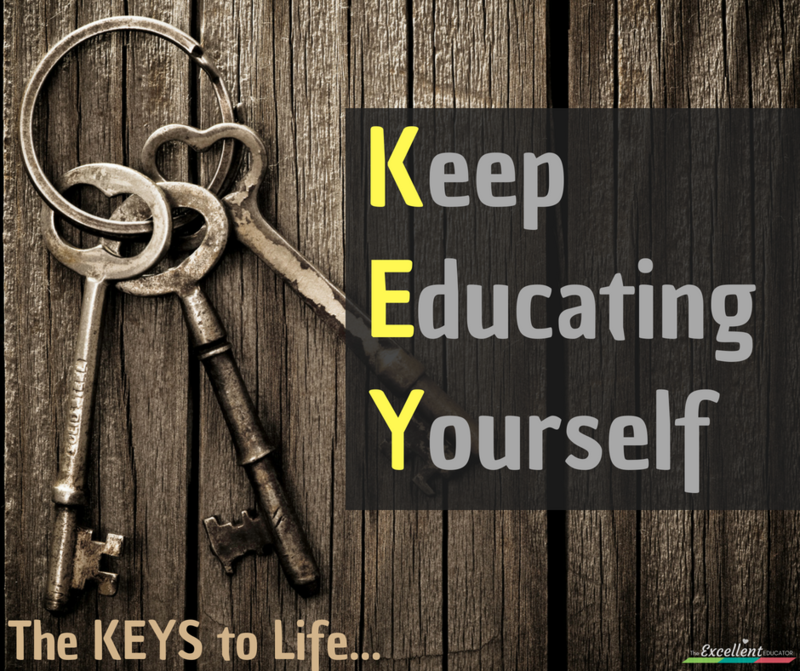 I believe the KEYS to life are to Keep Educating Yourself! In fact, educating yourself is one of the best self investments you could ever make. Educating yourself does not have to mean a pursuing a degree or getting more formal education. It means staying current, learning and growing! Educating yourself opens up doors of opportunity that you can walk through! There are so many things available for teachers from scholarships, to teacher grants, to loan forgiveness options, to teacher incentives and more! I want to share few that may benefit you or someone you know. For those of you that are residents of Georgia who work with childcare age children or in Ga Pre-K, there are a few opportunities that Bright From the Start offers you. The DECAL Scholars program is something that you are probably eligible for and may not even know it. This program is awesome and has 4 components to it. The first component allows you to receive FREE (yes, I said free) educational counseling to answer any of your educational questions or concerns! Deciding to go back to school can be overwhelming and leave you with so many uncertainties and concerns. Don’t try to handle it on your own because with the educational counseling available, you get access to a service that will help with everything you need! The second component available is incentives. This is a salary bonus program that rewards education and tenure. The more you increase your education level, and the longer you stay at your job, the more the bonus you can receive! The third component is scholarships. This is a statewide educational assistance program that supports professionals pursuing credentials or degrees! The final component is awards. These awards are available to professionals who increase their education in the ECE field. Do you have students loans? Did you know there are loan forgiveness options you may be eligible for? If not, I am glad you stumbled upon this. Student loans are sometimes necessary but always a pain to pay back. 😣 Although I had a scholarship for undergrad, I took out loans for my two graduate degrees. Luckily I heard about teacher loan forgiveness and decided to look into it and see if I qualified. To my surprise, I did! After 5 years of teaching, I qualified for some of my loans to be wiped out! 🙌🏾 Take some time to read the details of the different opportunities and see if you qualify. Do you love animals or want a class pet next year? Did you know there are grants available that provide financial support to purchase and maintain small animals in the classroom? Yep, it exists! Pets in the Classroom is an organization that was established by the Pet Care Trust, to provide children with an opportunity to interact with pets and change their lives. The grant process has three simple steps. Step 2: Choose your pet. Step 3: Choose your grant! Take the first step today and see if you qualify! Have you contemplated going back to school but don’t know how you will have time to make it to class? How does an accredited online degree, with reasonable tuition AND a scholarships sound? Western Governers University has online degrees and certification for teachers for both undergrad and grad studies, as well as various scholarships available. There is a WGU Loves Teachers Scholarship available to assist with up to $2,000 for tuition costs. You may or may not be interested in these opportunities but I bet you know someone who would be! Do me a favor and pass the word by sharing this post with others. Do you know of other opportunities that were not listed? I’d love to hear about them so I can share them with other teachers too! Tell me all about them below in the comment area below or send me an email! Hi Kara! Thank you so much for this information! I am more than grateful for this information 🤗🌻 Thanks a bunch! Hey Kara!!! Thank you so much for your postings!! They are ALWAYS filled with awesome information, wonderful take-a-ways, great tidbits, and your caring and nurturing spirit just adds to it!! Thank you for taking time to care! !